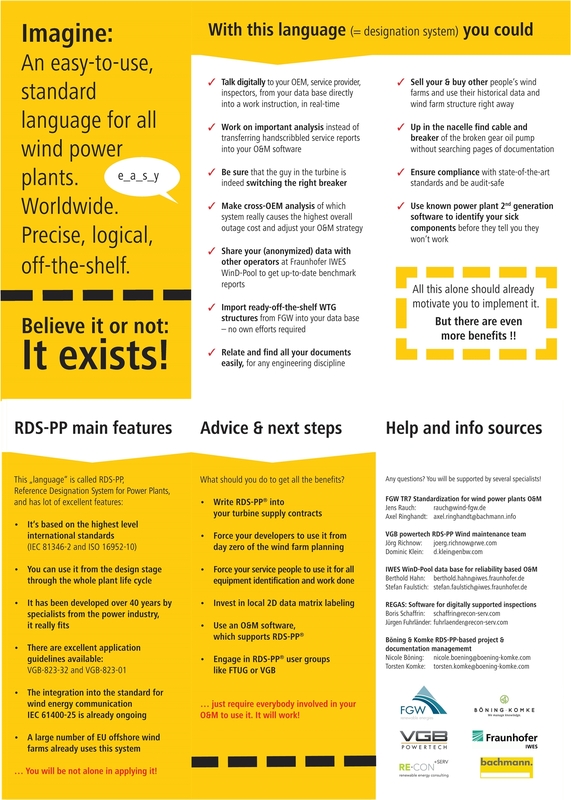 BÖNING & KOMKE: RDS-PP plant designation - As easy as that! Our vision: RDS-PP as standard language for all wind farms, worldwide. Take advantage of RDS-PP for the costs and risk reduction. Use the standardized technical designation system for project management, controlling, design, procurement, operation and maintenance. Link the information and structure your documentation. BÖNING & KOMKE shows you how to use RDS-PP plant designation according VGB-823-01 and VGB-823-32 efficiently and correctly for your wind farms.